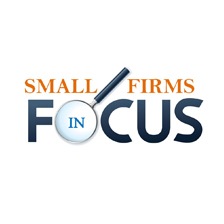 We have one focus - the needs of law firms. New Version of LEAP brings greater efficiency, better time keeping and mobility. LEAP, the world’s leading cloud software provider for small law firms, announces its latest version which will help small law firms operate more efficiently and productively. It includes a number of time saving features and will enable mobility and better collaboration with colleagues. Over half of lawyers admit to underestimating billable hours, partly caused by traditional time sheets requiring manual input of the time taken every time a document is worked. This process is not only inaccurate, but time consuming, especially when working with multiple client matters. With the new Time, Save and Close feature in LEAP, this entire process is completed with the click of a button, saving time and eliminating the need to manually create time entries during the document production process. LEAP’s Workflow integrates seamlessly with Microsoft Office, so whether a lawyer is working in Outlook, Word or Excel an email or document is stored against the current matter. The smartphone app means that a lawyer can be fully mobile, and always have the right information available for their client at any time. One great feature is that calls made from a smartphone are automatically logged into a matter and time recorded against it. Searching through a document can often be difficult, as a number of documents could be similarly named, or they do not contain enough specific information, and can prove a lengthy and time consuming process. The new Document Preview window in LEAP allows the viewing of every document without having to open a file. Collaboration with colleagues is key to the completion of a successful matter in a timely manner. The new email Document Link to Staff feature allows the sharing of documents with colleagues, anywhere and anytime. A notification can be sent to a collaborator about work to review, with a direct link to a document. Research is always an important aspect in a complex matter. Cases, legislation and other findings often have to be copied from websites, which can result in a complicated and time consuming process. Print to Matter uses a new LEAP PDF ‘printer’ that allows saving in a PDF format, which will then appear within the correspondence list of the chosen matter, enabling quick reference for future viewing. LEAP is a cloud legal software solution for small law firms wishing to become more efficient, more flexible and profitable. It allows everyone in a small law firm to work naturally using a single integrated system that enables them to do more work with the same number of people. LEAP a global company, originating in Australia where it is the dominant provider of legal software for small law firms, with more than 11,000 firms using LEAP software around the world. LEAP now has over 250 employees and entered the UK market in 2013 with the takeover of Peapod Legal Office. Interested in learning more about LEAP? Please contact us for your own one to one presentation and demonstration straight to your door! Your name not your email address will appear with the comment.